This teepee is constructed of unbleached muslin. 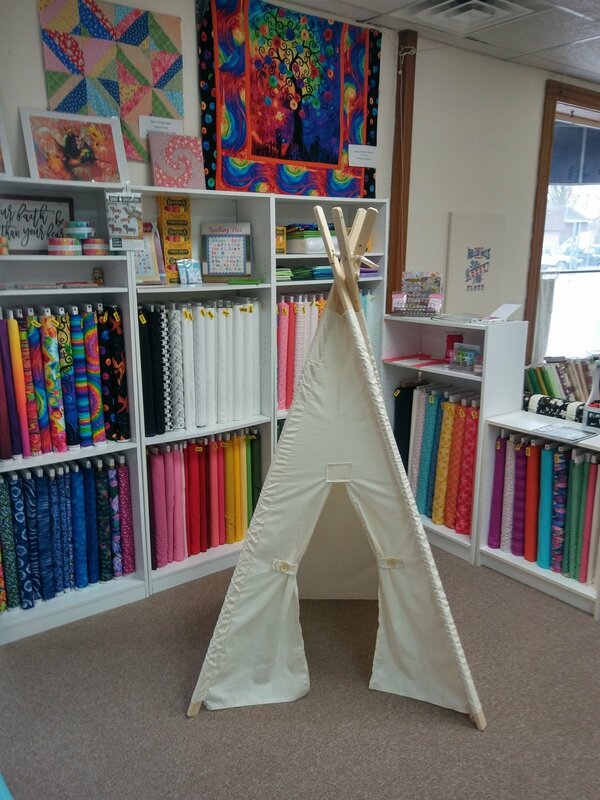 The teepee measures approximately 33" square at the base and stands about 5.5'. Shipping is free in the contiguous US.